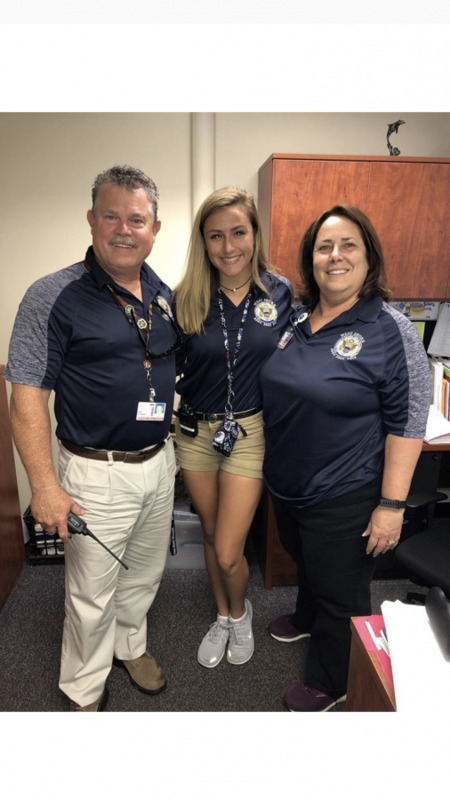 Principal Rick Fleming, freshman Rachel Benezra and Assistant Principal Catherine Halbuer serve as administrators Friday. 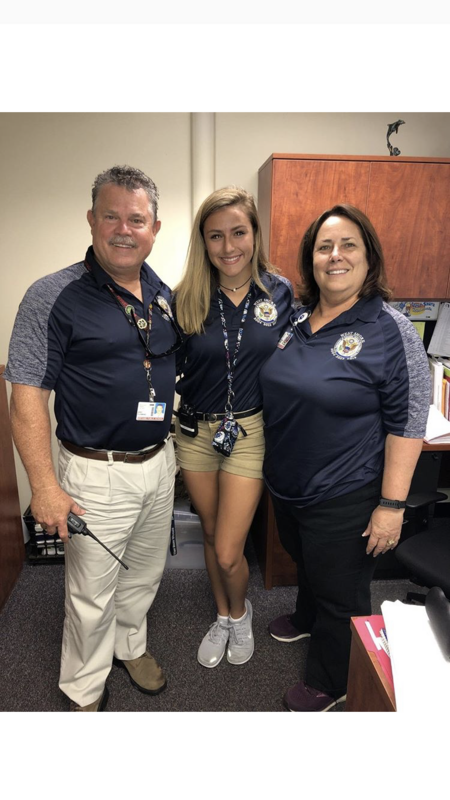 While the rest of ninth grade was in class Friday, freshmen Rachel Benezra was writing referrals, dress coding students and sitting in Assistant Principal Catherine Halbuer’s chair. Being Principal of the Day allows a student gets to shadow an administrator and have her responsibilities. Benezra secured the position after her mother bid on the opportunity during a Ladies Night Out school fund-raiser. Being Principal of the Day enabled Benezra to reprimand some of her peers. Benezra dress-coded Geach during lunch. Benezra also got to use equipment, including the golf cart that is reserved for administrators and staff. “I pulled my friends from class to go on golf cart rides and could take it out whenever I liked,” she said.” I took my friend Marissa Stazzone out of class, and we did laps around the track and watched Wildcat Challenge. Being Principal of the Day even allowed Benezra to experience Wildcat Challenge, which is reserved only for junior and seniors.